The first Keystone Original American cheese ever made! Keystone Original American Cheese Project founder Rachel Schaal. Industrial American cheese is all but dead—especially that orange stuff sealed in plastic and advertised as "real." At the time of writing, 11 billion pounds of cheese is being produced annually in the United States alone. Food-safety regulations demand most of this cheese be made from pasteurized milk. Pasteurization is a kill step. It's a commonly accepted practice: by rendering milk lifeless, it can be certified safe for drinking and using in the production of cheese. But to use pasteurized milk to make cheese, you must first bring it back from the dead. And to accomplish this miraculous trick, corporate labs have created patented, freeze-dried cheesemaking microbes that ship easily to cheesemaking factories in neat foil packages. So powerful and convenient is this combination—pasteurization and packaged cultures—that there's now no holding back the spread of industrial cheese. Industrial cheeses fill our supermarkets. You've seen all those neatly stacked, vacuum-sealed blocks. How does something lively and real survive wrapped in plastic for all those weeks? Somehow, too, these blocks look and taste the same all the time everywhere. How is that possible when they're made by some 10 million cows, distributed throughout the US, producing 200 billion pounds of milk summer, spring, winter and fall? Part of consistency in industrial cheese comes from standardized husbandry—and taking terroir out of the equation. Many of the industry's workforce of heifers may never step out of their penned quarters onto a blade of grass. Their living conditions and feed are completely controlled, so milk components can stay more constant. This helps factories produce a continuous supply of cheese with the same color, texture, flavor, and labeled nutritional value. Wild Thing, a Backyard Terroir cheese, is a wild culture, raw milk cheese. She is also part of this small, but growing, national effort to create a few truly original American cheeses--cheeses that originate on American soil, from native microbes, milk, and cheesemakers! The fallout of industrialized cheesemaking has landed on smaller commercial artisan cheesemaking operations as well. No cheesemaker of any size can deviate far without coming face-to-face with the US Department of Agriculture and the Food and Drug Administration. When limited to regulated methods, constrained by food-safety laws, and dependent on proprietary cultures from big corporations, its hard for cheesemakers to do more than mimic namesake cheeses, like Gouda, Taleggio, Roquefort, and Comte—cheeses that originated somewhere else. 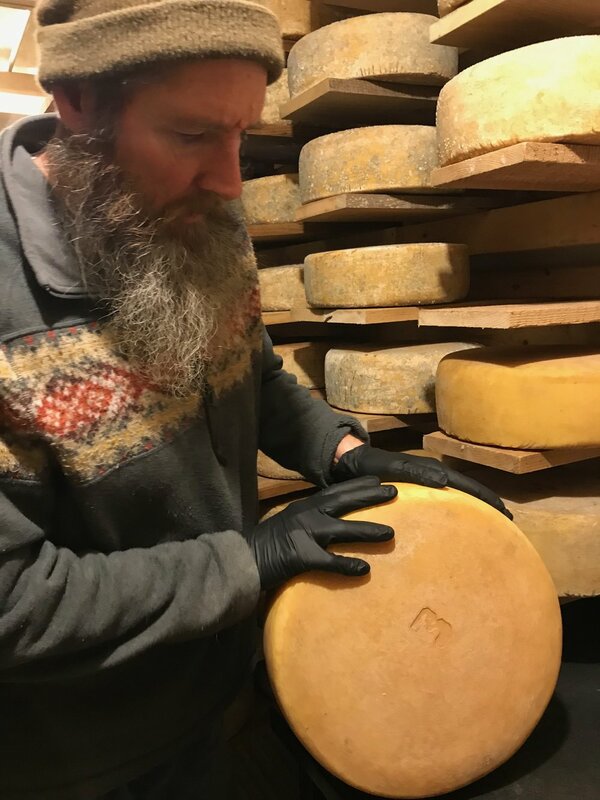 Parish Hill Creamery’s master cheesemakers, Peter Dixon and Rachel Schaal, have followed a different path, a more elemental path. In their little Vermont creamery, they are fomenting a quiet cheese revolution. Their Keystone Original American Cheese project promotes a change in direction for small-holder cheesemakers like me, and well beyond. See where it all started, and get a taste of Parish Hill's Cornerstone Original cheese from their online shop. What is Rachel and Peter's vision for commercial Cornerstone and small-holder Keystone cheesemakers and cheeses? These nonindustrial cheeses are made by following the seasonal rhythm of the herd, the pastures, the milk, and the farm. Don't expect these cheeses to taste the same every time you try one; by nature, they're changing. Each is not a replica of the last. Instead, each wheel is a particular expression of a particular place at a particular time. 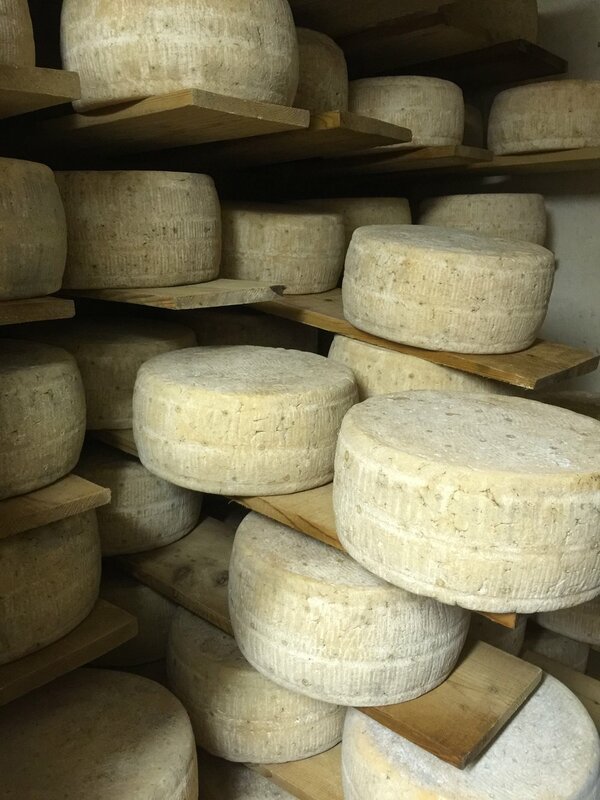 By Parish Hill's definition, a stone cheese is born of living milk, microbes indigenous to one farm, rennet that's homemade or small-batch, and salt from a nearby source. And, kind of like us, each individual stone is an original in its own right. Finally: real cheese! Our Wild Thing square is the first Keystone Original American cheese ever made! As I show you how Keystones are created, I'll share how real real-cheesemaking methods work in practice. 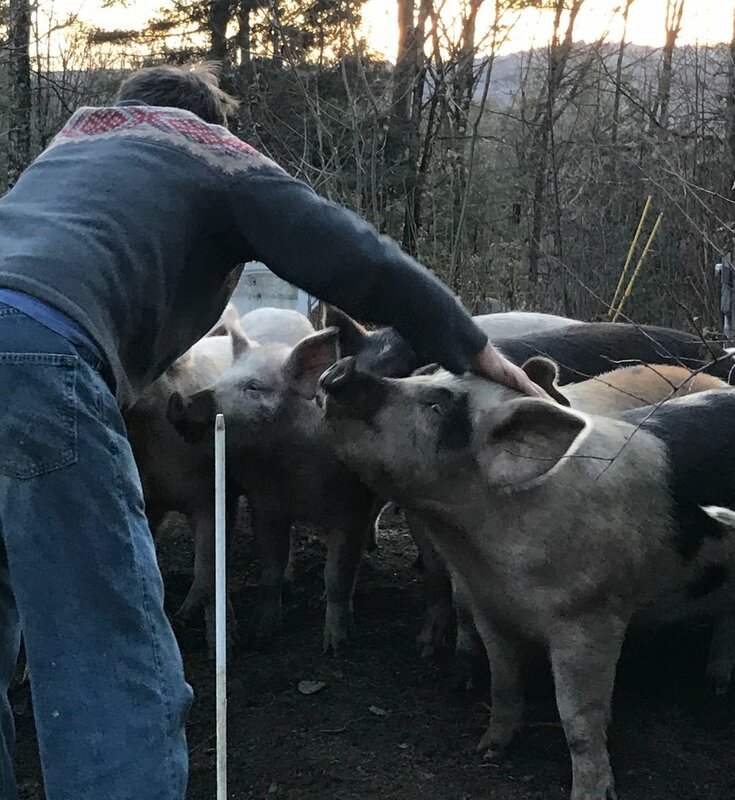 If you want to try it, you can even learn to domesticate wild cultures from your own herd, ensure your raw milk is safe and handled correctly, make and use homemade rennet, and ultimately make a cheese that reveals the flavors of your own backyard. Below, I'm giving you a glimpse into the workings of Parish Hill Creamery, just in case you never get to visit. You'll hear Peter and Rachel's words throughout what I say about cheesemaking and our cheese. But my pictures and words aren't a substitute for a visit to their backyard. A firsthand taste of their passion, and their cheese, is not something you should miss!